Slot machines are magical. Mysterious, even. Popping the big jackpot always seems allusive, but when it happens, it’s something else. So what are the secrets to coming out ahead when you play slots? We’ve got the answers right here. Progressive jackpots are incredibly alluring. 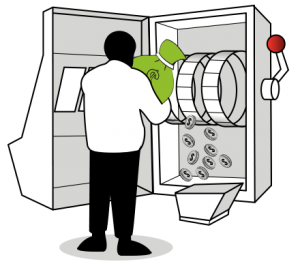 Who wouldn’t want to drop a few coins into a slot machine, pull a lever (or press the Spin button), and watch tens of thousands or even hundreds of thousands start pouring out of the machine? It’s the best feeling in the world. 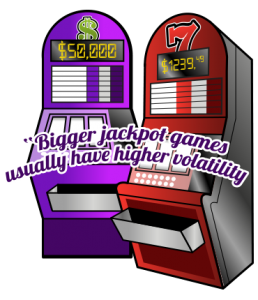 But the truth is that progressive jackpots don’t pop as often as regular local jackpots. There is a trick to popping a progressive jackpot. 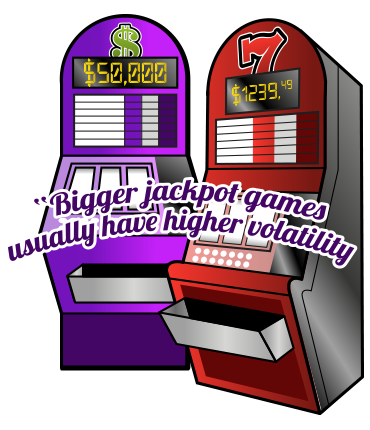 Look for machines whose major and minor jackpots have hit a pretty high level. While it’s not guaranteed you’ll win, it’s gotta be only a matter of time before it bursts at the seams. Multi-payline slots are all the rage. They’re definitely the most popular slot machines online and off. But some players prefer to play the classic machines. If you’re one of them, we recommend hitting the 3-payline machines instead of the 1-payline machines. That’s because you’ve got three shots at lining up symbols instead of just a single chance. Plus, on many machines you’ve got the potential to win on three rows simultaneously. Be advised, though, that on some machines not all three lines pay out the same amount (the top line could potentially pay out less). What’s better than winning big? How about winning twice as big? And it happens when you play double-up machines. These are machines that feature special symbols that, when hit, lead to twice the payouts. They aren’t always called double-up symbols, so you might have to do a little digging to make sure you’re playing a machine with this feature. But it’ll definitely be worth it when you hit that big score. If you sit down at a slot machine and have the option to bet 1 coin, 2 coins, or 3 coins, bet the maximum amount allowed. On 99.9999% of slot machines on planet earth, you’re required to bet the max if you want to be eligible for certain jackpots. That means that not betting the max when you play one of these slots leaves the jackpot open to anyone but you. Most multi-payline slot machines have 5 reels, and those are great. But occasionally you’ll come across a 4-reel slot. These machines are usually similar to the 1-payline slots with three reels, only instead of having three reels there’s an extra one. If you have the choice between a 4-reel slot and 3-reel slot, you might want to try the 4-reel machine since there are more symbols in play. But with just one payline, the odds are stacked against you. Stick with three reels. Want to put these secrets to the test? Your favorite slots are waiting for you right now at Casino-X. Get set up with a free account and play now. You could end up popping that next big jackpot sooner than you think. And believe us. You won’t be able to keep that a secret.